Trevor Newton. 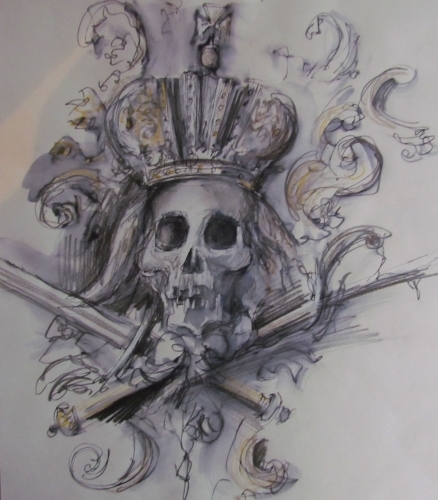 'Skull in the Habsburg Memorial Vault, Vienna'. Mixed Media on Paper. 31 x 27 cms. Unframed. £500.